As part of a new series looking at how policy teams within Department of Health and Social Care are using digital tools, we asked Fateha, who’s currently part of a policy & programme team leading on a new digital project, to talk about their teams’ use of Trello. Ben Showers (Digital Assurance Lead). Hi my name is Fateha and I work in a team of 8 which sits within the Global Health Security Team. My squad consists of The Head of the Fleming Fund, three work stream leads (with multiple disciplines), a clinical advisor, a lovely chap called Josh who is based at the Foreign and Commonwealth Office (FCO) in Geneva and two policy & programme officers. The Fleming Fund is a £265m One Health Programme to support 24 low and middle income countries to tackle superbugs! The aim is to improve laboratory capacity and diagnosis as well as data and surveillance of these superbugs (antimicrobial resistance, AMR) through a ‘One Health’ approach. We focus on supporting countries in the development and implementation of their AMR National Action Plans through the provision of technical assistance and grants. So you can imagine how important it is to feel connected with colleagues on a day to day basis! Up until recently I had the labour intensive task of Minute-taking during our weekly working group meetings and disseminating within a short time frame. I often felt I was duplicating information when it came to setting priorities and of course after a couple of days, due to the fast changing environment, our work priorities changed! 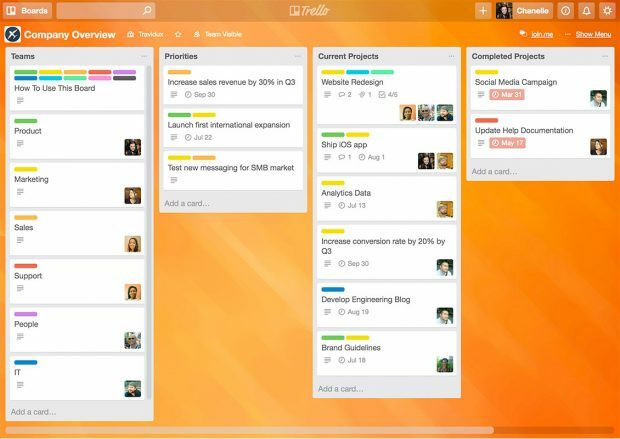 However, the team have recently been using Trello – an online planning tool. Now it’s each person’s responsibility to record and update their priorities as work progresses. Since using Trello the team feel it has provided a level of transparency that makes it easy for us to know who’s doing what and when. For the Head of the team, Trello allows her to be Overwatch (yes I did use a DC comic reference) – where she can see the priorities and activities of the whole team at the same time. It also gives my team sight of her workload, and expectations can be managed for turnaround times for clearances and reviews. Not being tech savvy and always a little reluctant to change is an issue for me (don’t judge me! ), BUT the Trello board is amazingly quick and an easy tool to create and amend. Once I had played about with it, it was fairly intuitive… I love the colour coding as it helps emphasise attention and prioritise activity and enables me and others to “tag” another colleague if you are working jointly together on a piece of work. It’s possible to add as much or as little detail as you need. We are all unanimously agreed that it’s very quick to load on your PC or phone and no faffing about with passwords and not having to constantly write up to do lists! It’s also easy to share with colleagues. One team member who wishes to remain anonymous (less he come across a nerd) mentioned that after we piloted the use of Trello he went and created a personal Trello to help work through all the personal tasks he just didn’t have time to get through at Christmas! I am happy this is working out for you Tom! Using Trello has been a game changer for us. As well as giving me back an hour a week, it is also saving the planet in cutting down printing paper and saving the Dept. on ink! Everyone can feel that little bit better about themselves. Thank you DH Digital Team for the suggestion! I have started hearing the term Slack and Mural, but might wait a bit longer before I venture into that territory. All in all, Happy Days!